We have a wide selection of counter options – from lightweight and highly portable to semi permanent structures. This is a unique unit that is easily transported and assembled in under 10 minutes. 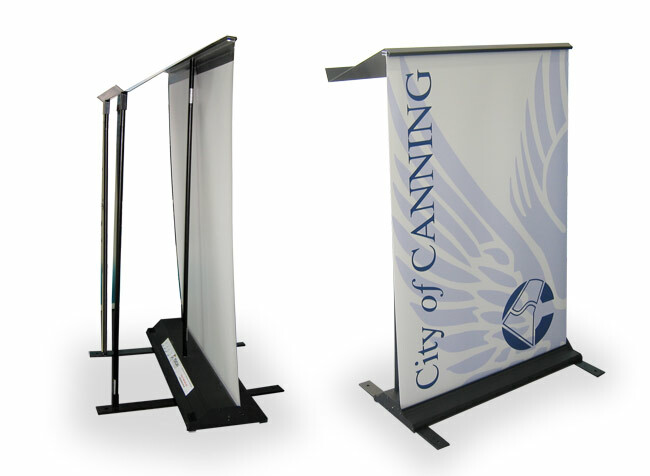 Fantastic for any trade show for either manned or unmanned situations – It really stands out. The obvious cool feature to this display is the use of backlighting through the graphic panels. In this particular design, the lights have been placed to enhance the firework effect in the image. Alternatively the lighting can be set back further from the panels to give a consistent and harmonic glow to the entire stand. This stunning display is currently a pre-ordered system and is also total customisable. We can manufacture any combination of counter top displays to incorporate graphic backlit panels. Pop-Up Counter DisplayThe Toucan Pop-Up Counter is a proven and stylish solution.It is portable and easy to assemble – Featuring a robust frame and solid, hinged top, storage shelves and a full colour, high quality, graphic skirt. 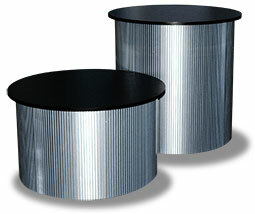 The Toucan Pop-Up Counter design allows you to change graphics whenever required. 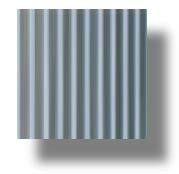 140 cm Wide x 50 cm Deep x 90cm High approx. At end of event you can pop everything into the travel case for the next show. 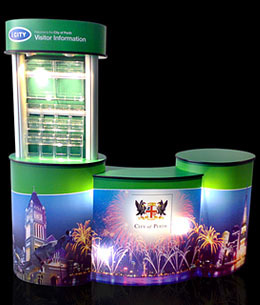 Options to build counters, brochure holders, plasma stands and much more! 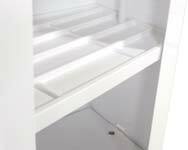 Both stylish and sturdy these counters are ideal for clients wanting to make the right impression. Tambour finish semi-permanant retail countersTambour is a stylish treatment for counters and stands that require a durable finish. Popular applications include retail and shopping centres, and exhibition displays. Campaign CounterA proven performer – Ideal for a quick set up! Super light, strong and simple to put together. 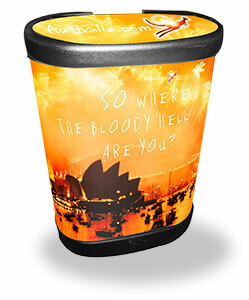 Toucan’s own award winning patented design is assembled in minutes and can be used for a wide range of promotions. Toucan Pull Up LecternSupport your presenter – Create the right impression! 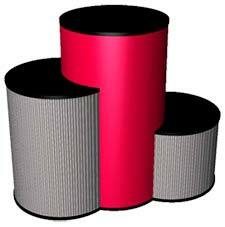 © 1997 - 2013 Toucan Display Solutions International Pty. Ltd.